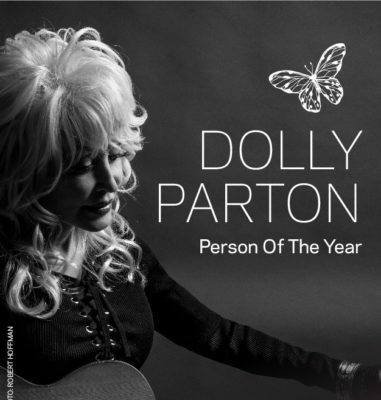 LOS ANGELES–Grammy winner Dolly Parton will be honored as the 2019 MusiCares Person of the Year in recognition of her significant creative accomplishments and longtime support of many charitable causes. Grammy winners Vince Gill, Don Henley, Kacey Musgraves, Willie Nelson, and Mavis Staples; and Grammy nominee Linda Perry will join the performance lineup at the tribute concert honoring Parton on Feb. 8. Previously announced performers include Leon Bridges, Lauren Daigle, Norah Jones, Shawn Mendes, P!nk, Mark Ronson, and Chris Stapleton. Grammy winner Dolly Parton will close the evening’s performances. Greg Phillinganes will be the musical director. Proceeds from the annual Person of the Year tribute—now in its 29th year—provide essential support for MusiCares (www.musicares.org),a charity founded by the Recording Academy that ensures music people have a place to turn in times of financial, medical, and personal need. Attendees will include Neil Portnow, president and CEO of MusiCares and the Recording Academy; Michael McDonald, chair of MusiCares; Alexandra Patsavas, chair emeritus of MusiCares; and John Branca, honorary chair of MusiCares. Over the course of the last fiscal year, MusiCares provided more than $6.5 million dollars to approximately 8,600 members of the music industry—the largest number of clients served and dollars distributed in a single year in the charity’s history. Established in 1989 by the Recording Academy, MusiCares offers health and human services and programs to members of the music community, including emergency financial assistance for basic living expenses such as rent, utilities, car payments and medical expenses. Grammy Week culminates with the 61st annual Grammy Awards, Feb. 10 at the Staples Center in Los Angeles. The telecast will be broadcast live on the CBS Television Network at 5 p.m.